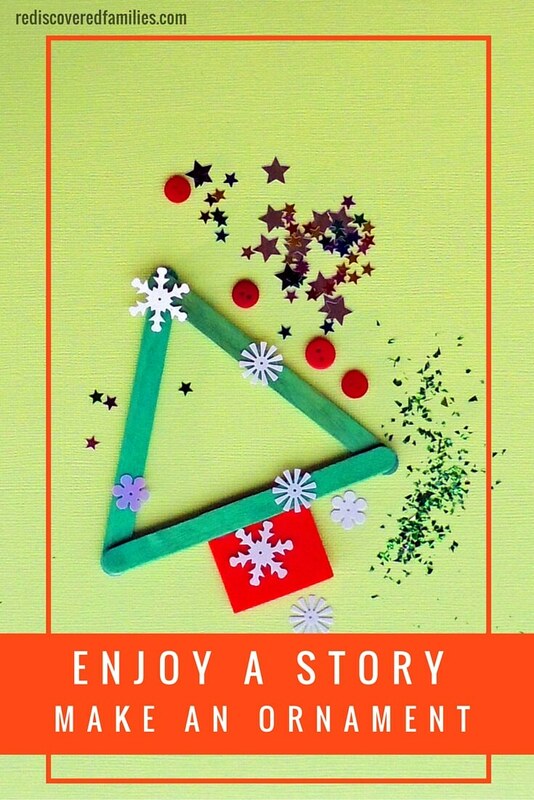 My boys loved stories and making ornaments, so we really enjoyed the weeks leading up to Christmas. Any excuse to snuggle up with a good book and then get out all our sparkly craft stuff! This week I’ve picked out one of my favorite Christmas pictures books for you to enjoy with your children. I have also found a simple Christmas ornament to go along with it. Get ready to enjoy those sparkles. The Gifts by Regina Fackelmayer. Mia is all set for Christmas. She has everything she needs for Christmas dinner, gifts for her dog and cat, a hat for herself, and a Christmas tree. On her way home Mia stops to help an old man who has slipped on the ice and she leaves her tree behind. Later that day she goes out searching for her tree and gives away her new hat to a little boy who has lost his. Alas Mia cannot find her tree anywhere and as she observes, “Christmas without a Christmas tree just isn’t the same.” However all is not lost, because later that night, the people she helped earlier appear at her doorway with her Christmas tree, decorated and lit with candles. This is a lovely Christmas story to read and I really appreciate the focus on giving. 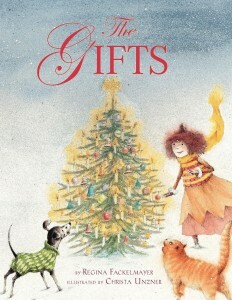 The illustrations are beautiful and preschoolers are captivated by the hunt for Mia’s Christmas tree. It’s a wonderful book to read with your children. I would advise you to borrow this book from the library, however if you wish to purchase it just click on the picture above (affiliate link). Where do you think Mia left her tree? How would you feel if we lost our Christmas tree? What do you think will happen next? (Do this several times as the story progresses). How could we help others at Christmas time? 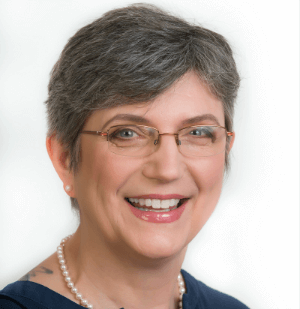 Why not make up your own verses? You may want to do the first two steps ahead of time if you have a toddler. Provide a variety of small decorations and invite your child to decorate the tree to their hearts content. Buttons will probably have to be hot glued on, but if you are nervous about using a glue gun with your preschooler try using glue dots instead. They work really well. 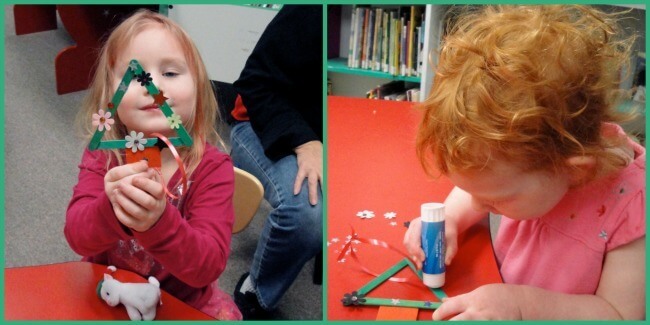 Help your child add a hanging loop. 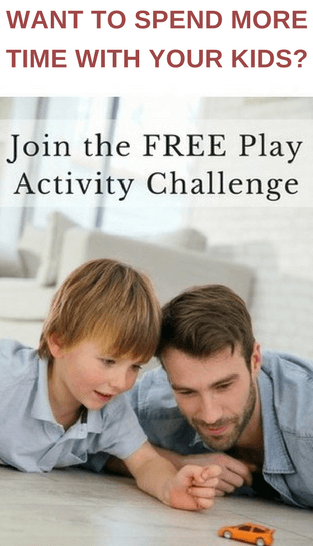 Are you looking for more Christmas activities for specifically for toddlers? 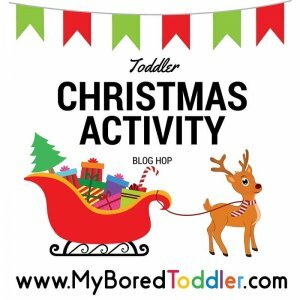 Check out the Toddler Christmas Activity Blog Hop! Editor’s note: This post was inspired by A Big Ornament For The Littlest Christmas Tree. I really liked the idea and decided to do my own. Thanks for the idea Books and Giggles! What a fun book and craft project! Love these ideas. Found your post today on Tuesday Talk. Glad it was helpful Melanie. Wishing you and your family a blessed Christmas. That sounds like a really lovely book and the craft looks fab. I love simple Christmas crafts. I love crafts and books. It looks like a lovely book and a cute and simple craft to make. I’m visiting today from #kidlitbloghop.